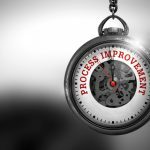 Across a multitude of industries, many organizations around the world have adopted Six Sigma methodologies to their operations in order to reduce waste and make them more efficient. 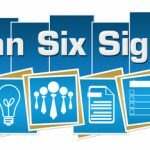 From government agencies to healthcare and even aviation, leaders have discovered that Six Sigma tools and techniques provide huge benefits to their organizations. No matter the industry or field, all businesses and organizations have processes that are behind their day-to-day operations. 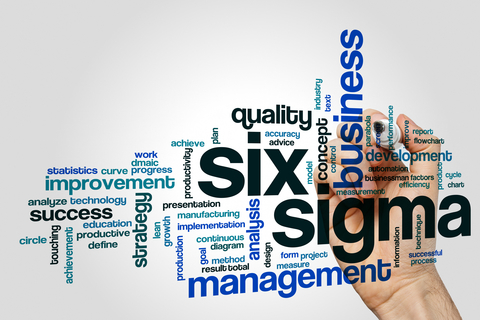 If there is to be measurable and sustained improvement of these processes, then Six Sigma is one of the best ways to provide tangible results. 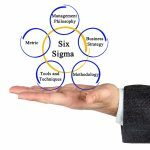 Although many people are unlikely to associate Six Sigma with academia, many institutions of higher learning around the globe, facing ever tighter budgets, are starting to realize the importance of the Six Sigma methodology. Maintaining quality in the field of higher education has become an important issue because of the higher demands placed on institutions by stakeholders as well as the competitive environment that universities operate within. 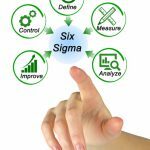 While Six Sigma has seen widespread and successful implementation in the improvement of product and service industries, it is a concept that has only recently been adopted by higher education institutions. 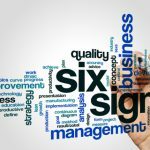 In order to gain an understanding of how Six Sigma can be implemented for the improvement of higher education processes and to achieve quality, there are a number of models offered. 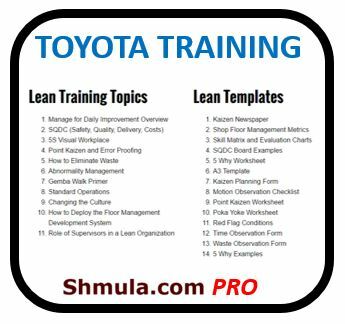 These include Six Sigma principles which include reduction of waste and improvement of processes, both of which are closely aligned with the university mission and related accreditation bodies. Of the several different approaches used in the achievement of Six Sigma levels of quality, the Define-Measure-Analyze-Improve-Control methodology is the most important and lies is the basis on which the whole process is built. Define: This is the first step taken to understand the process in order to develop a high-level map of processes involved in higher education. From it, a cause-effect diagram can be constructed to help evaluate how input variables affect the output. Among the inputs include new first-year college students, high-school graduates and K-12 teachers. The customers may be any of graduate schools, employers and society in general. Measure: Within this phase, all of the measurements that are related to processes in the university are measured. Among the factors considered when measuring the success rate are retention rate of students, the graduation rate, as well as those employed in a field related to their academic degree following their graduation. Analyze: Following the development of a process map, the Analyze phase looks at the factors that result in poor quality higher education. Some of the sources that have been identified using Six Sigma methods include curriculum, students, teachers, the assessment methods and institutional shortcomings. Once the sources of defects have been identified, steps can be taken to improve the quality of education offered to students. Improve: In this phase of the Six Sigma methodology, solutions are found to remedy the causes of poor quality in higher education at the particular university. However, the improvements need to be made with due consideration to the needs and requirements of the students, their teachers and departments as well as institutions in charge of the curriculum. Control: The final phase requires that the changes and improvements made be institutionalized to ensure that the new or improved processes are sustainable. The main focus when looking to achieve quality education at universities is to ensure standardization of improved processes and fostering its adoption into the culture of the educational institution. The key outtake from higher education should be the success of students through the provision of high quality education. The failure of a student who has been subject to the process should be considered to be a process defect. Defects are remedied by applying Six Sigma principles to every facet of the higher education institution including the staff, help desk, recruiting office, IT support and related colleges, among others.